Coverage Area: Approx.16 sq. ft.
Coverage Area: Approx. 25 sq. ft.
Coverage Area: Approx. 56 sq. 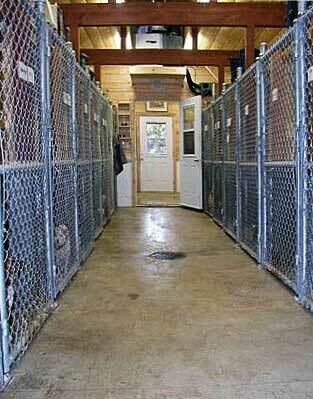 ft.
We have visited with numerous commercial boarding facilities. Some are better than others. They are owned and operated by very caring and responsible people that share our passion for the quality of care for dogs. There are a variety of solutions for creating comfortable and stimulating environments for their guest, but one common theme exists. to get a grasp on heating cost. 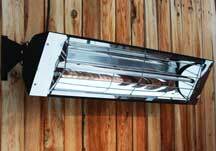 Many operators are using commercial style suspended gas-fired heaters to heat the air inside of an entire building. 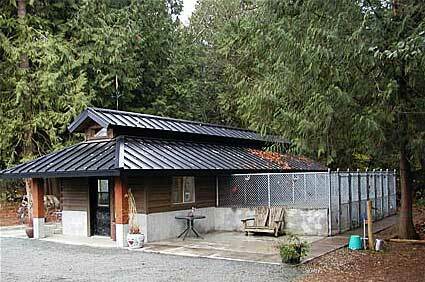 In most cases this is highly inefficient because of the drafty conditions in a kennel environment. The heated air is not easily captured and simply dissipates in buildings that are typically not well insulated and for the biggest part of the day is open to outdoor runs. If you are limited to LP gas, we don’t have to tell you about the cost of operation. Additionally there are the concerns about proper maintenance, ventilation, use of an open flame and the potential for emission of harmful bi-products. Some operators have chosen radiant floor heating. While possibly more efficient than heating the air, there are still questions about how effective this heating method can be in a kennel environment. Systems can be costly to operate and if there are ever any issues, repairs can be devastating. Regardless of the method, heating an entire building that may only be partially occupied is never efficient. Perfect Kennel Heaters use infrared energy that warms floors, walls, bedding, your dogs, and is unaffected by drafty conditions. Heaters can be configured to affect only occupied space and operate for just pennies per hour. They are virtually maintenance-free and operate trouble-free. They can be incorporated into automated timers, equipped with intensity regulators, and if service is ever required it’s as simple as replacing an element. Elements are rated for 5000 hours of continuous use and it is almost as easy as replacing a light bulb when required. Your dogs (or cats) will enjoy it as much as lying in front of the fireplace or curling up in a sunny window. Let our Infrared Design Specialist help you determine the products that will help you achieve a better heating alternative and meet your specific objectives. Contact us for a FREE consultation where we can review your particular needs and help you with a simple formula to determine the cost of operation. We are eager to assist you. Contact us via email or by phone, and we invite you to visit www.infraredconcepts.com for more product details. This website was designed and produced by Hess Design.